Getting a long-term storage unit is ideal when your home is overflowing with clutter, you are downsizing or you don&apos;t have any additional room. However, there are certain things you should keep and things you should toss. Here are a few examples of items you should consider storing in order to free up some space in your home. If your dream is for your daughter or granddaughter to wear your wedding gown someday, keeping it safe in a long-term storage unit is ideal; you will have it in case you need it, and you won’t be taking up space in your home. Before storing special clothing, such as a wedding gown or baby clothes, it is best to have the items cleaned beforehand and to pack them in a suitable box with a tight-fitting lid. 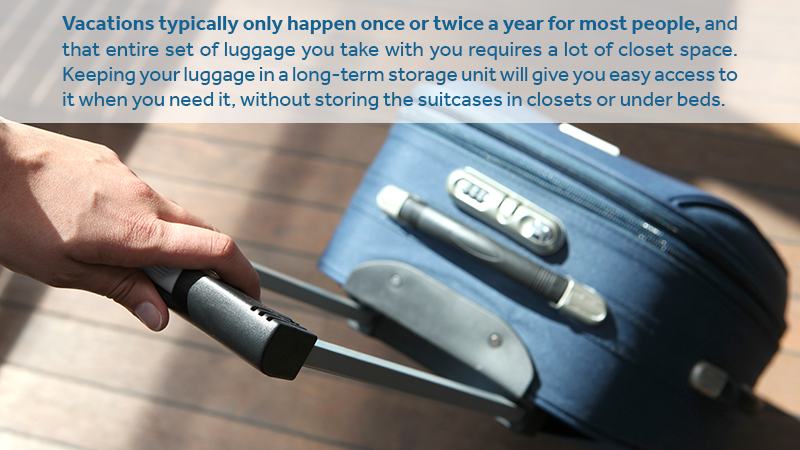 Vacations typically only happen once or twice a year for most people, and that entire set of luggage you take with you requires a lot of closet space. Keeping your luggage in a long-term storage unit will give you easy access to it when you need it, without storing the suitcases in closets or under beds. Holidays, just like vacations, only come around once a year, so you only need access to these decorations once a year. Securely pack up Christmas ornaments, the artificial tree and Halloween decorations so you can keep in your storage until you need them. Do you have family items that are no longer used or do you have a basement full of stuff from grandparents or parents who have passed away? It is usually difficult to dedicate the time needed to sort through all of these items, but keeping them in a long-term storage unit means the items will be safe and secure until you have the time to go through everything. It is common for parents to hang on to the things their children outgrow, such as high chairs, cribs, toys and clothing. If your goal is to use them for your future grandkids or you just haven’t had the time to sort through everything yet, put the items in storage until they are needed. The more organized your long-term storage unit is, the easier it will be to access items as you need them. 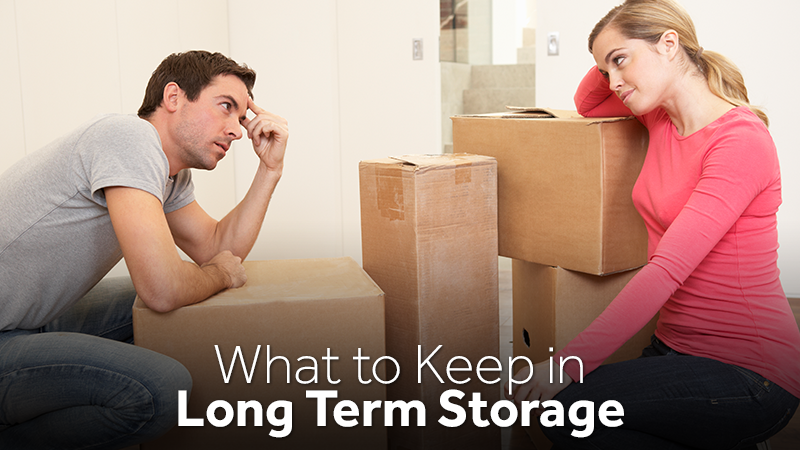 First, you need to evaluate what you&apos;ll be putting into storage. Next, catalog the items to know what is included in your unit. Last, review items in your unit to decide if you still need to keep them in storage. Let Zippy Shell Houston help you keep your family heirlooms and precious items safe, and cheaply with long term storage starting as low as $129 a month! Contact us today to get started!